Are you ready to drop those extra pounds you've been carrying around? Awesome. Let's start off with a couple positive don'ts. You don't need to jump on a diet craze and you don't need to start exercising for hours each day. Just ask your physician. It's not about dieting, it's about reshaping your lifestyle. ...it's the little things that make up the extra inches around your waist line! Give me 15 to 20 minutes and I'll show you how to get results you can measure... by your waistline! If you've got 15 minutes, you've got time. 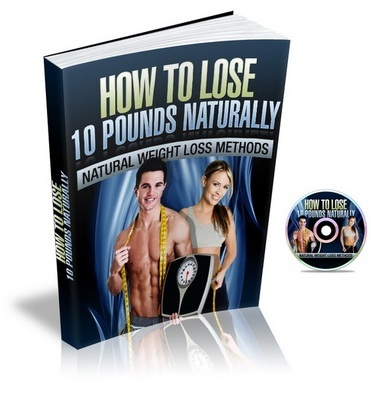 "How to Lose 10 Pounds Naturally" is a must have report that outlines 'everyday ways' to maintain a healthier lifestyle for people on the go. It is designed to be quick and efficient. Can you drink a glass of water every morning? Then you've just accomplished the first step to a healthier lifestyle. Easy and simple. You gradually and consistently add more slight alterations to your lifestyle, and in just a couple of weeks you'll start noticing results.